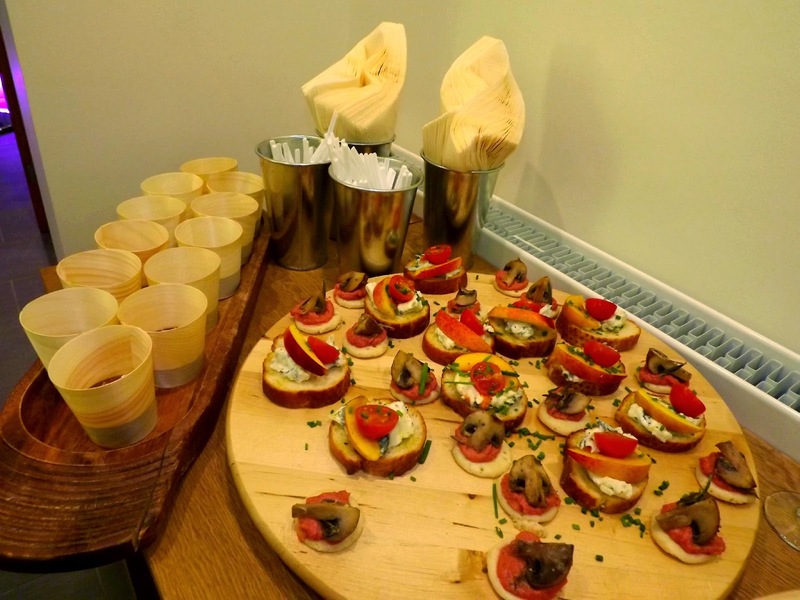 Event | Beauty Matters, Garforth, Leeds. The best part of being a blogger is having the opportunity to attend some pretty spectacular events, and last week I was invited to the grand relaunch of Beauty Matters in Garforth, Leeds. Beauty Matters is a long established independent beauty brand with two salons based in Leeds, one in Rothwell & the other in Garforth. 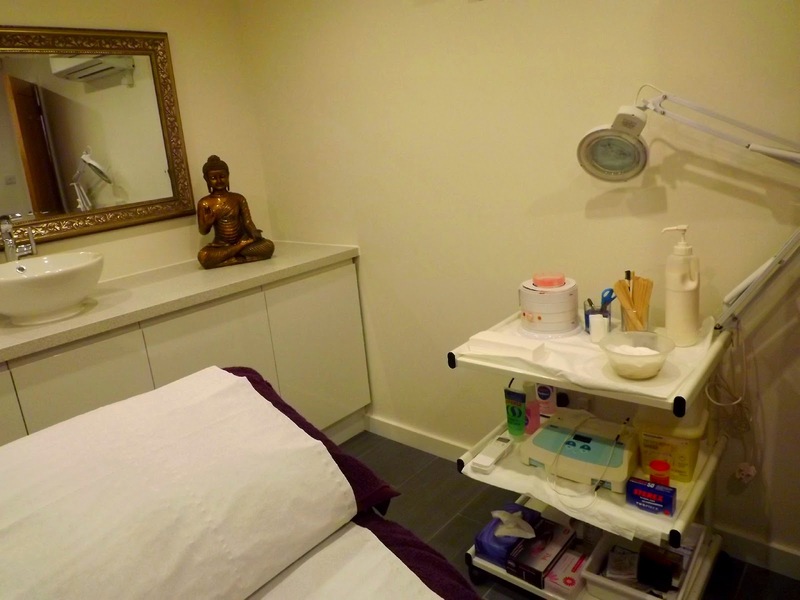 As well as doing the usual beauty salon treatments, Beauty Matters also offer non surgical treatments such as 3D Liposuction, Botox and Semi Permanent Makeup Tattooing. I'm not at an age where I feel these procedures would be necessary however I'm still highly interested in the treatments and I wouldn't rule them out in the future. 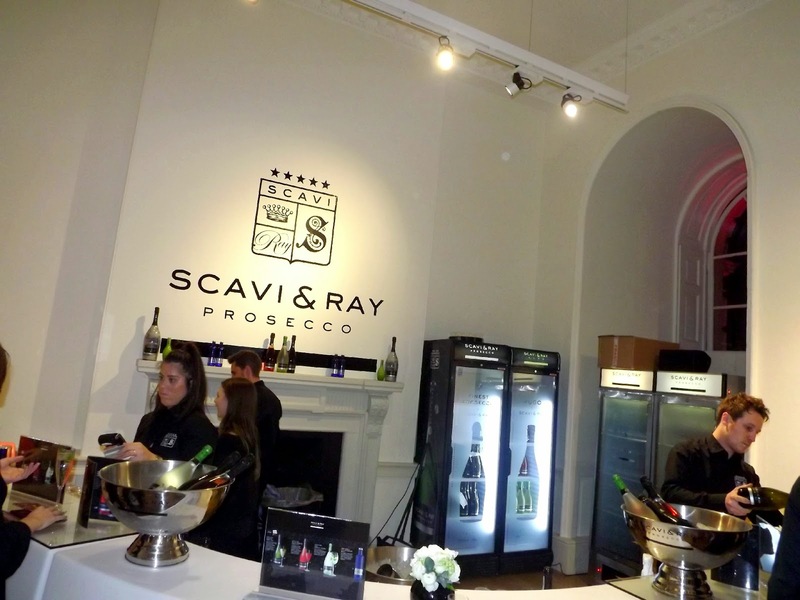 We were greeted with a super warm welcome, a glass of fizz & a whole load of canapes... 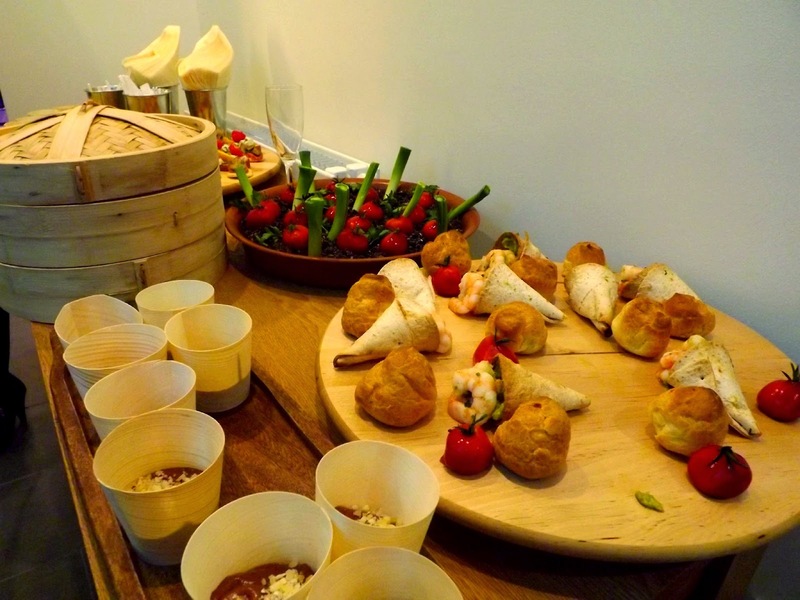 Which is always the best way to start a blogger event! Along with other nibbles, I had the most delicious chocolate mousse with crushed almonds on top. It was so tasty, but it'd be so easy to recreate so I might have to try it sometime. 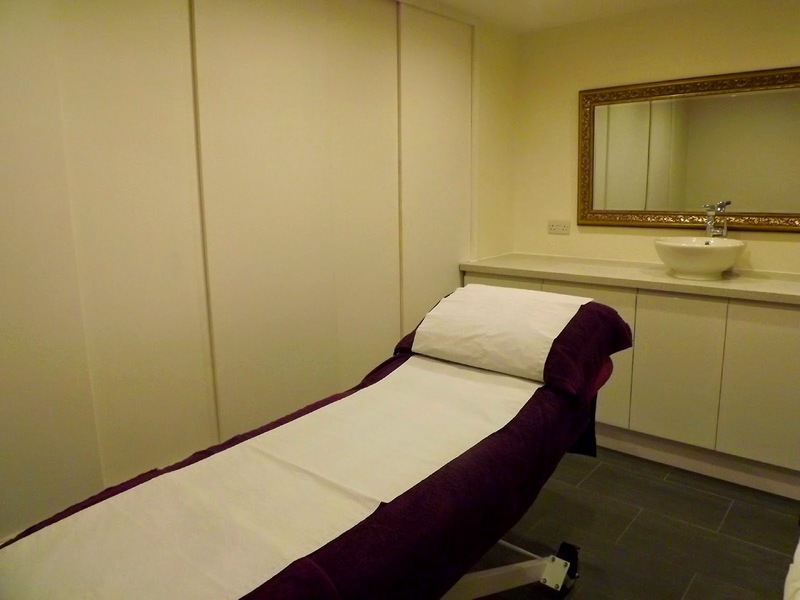 With a glass of champagne in hand, I then tootled off to take a look at some of the available treatments. I then ventured across to a room where Beauty Matters were displaying the first of their non surgical treatments, the 3D Liposuction. This type of treatment has seemingly taken the celebrity world by storm and it's no wonder with the innovative technologies the 3D Lipo has to offer. The suction process kills 20% - 40% of localised fat & deep cellulite, however this isn't something that's apparent straight away, it's more over the course of several months where you should notice the difference. 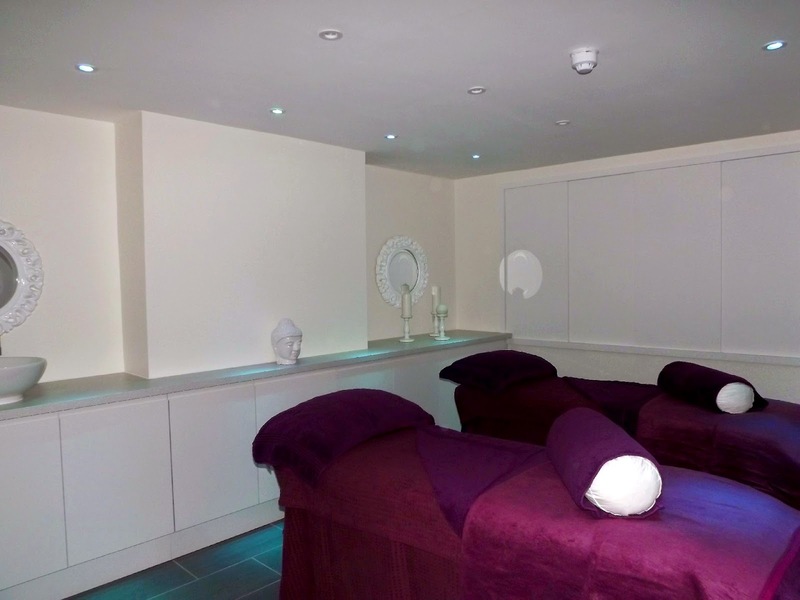 Treatments range between £40 and £210 and have had rave reviews by various members of the Beauty Matters team. The lady sitting for the one hour treatment advised me that it was completely painless, if anything it was cold, but apart from that she felt completely comfortable. 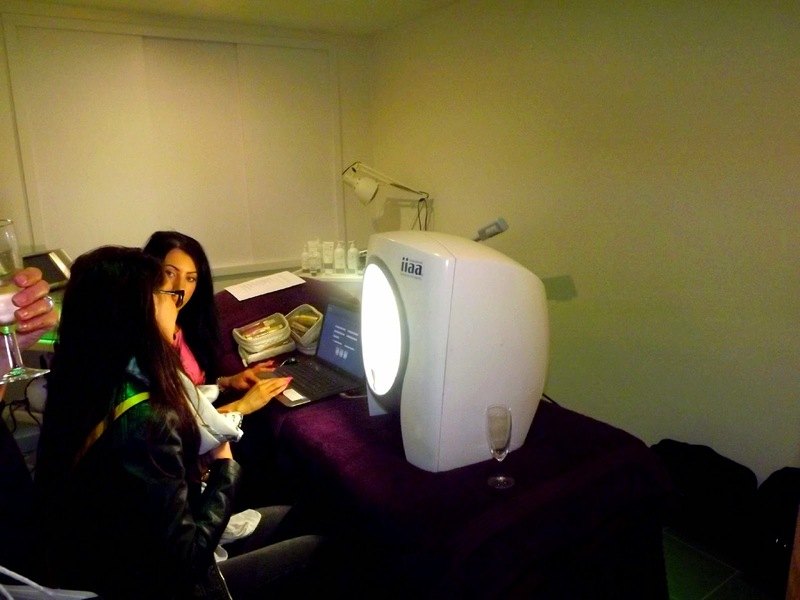 I then popped into the treatment room next door where they were doing a skin analysis. This is always something that has fascinated me as I'm really big on skincare and am always wanting to learn how to improve my morning & nighttime skincare routine. I put my face into the rather alien looking analysis machine and have to say I was pretty surprised with the results. 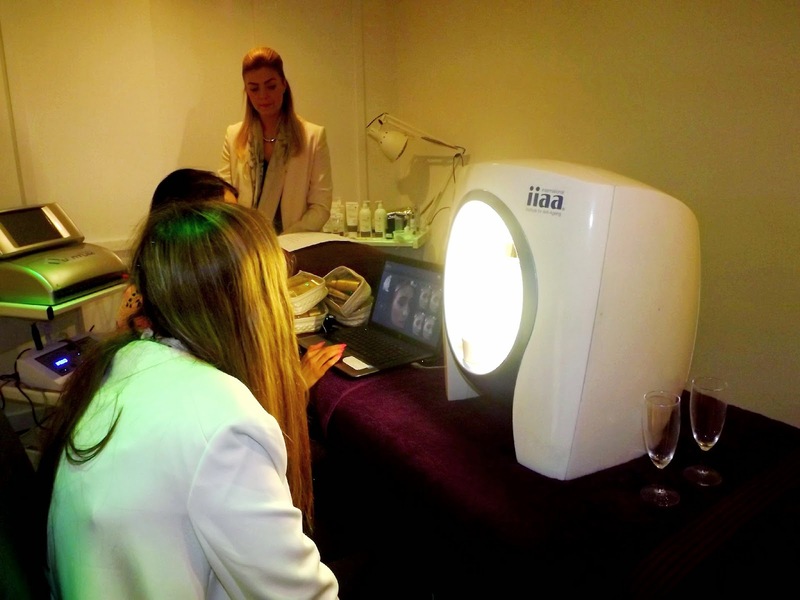 The scanner checked for blocked pores, uneven textures, skin damage & so much more. What I was surprised at is how good my skin actually is! I seemed to have passed with flying colours... Apart from sun damage! My face is ridiculously skin damaged, I really need to start using products with higher SPF's. What I was advised is that my face has 24 years of skin damage, it's not something that's happened recently so hopefully if I gradually change my beauty products to ones with an SPF it'll help to a certain extent in combating my sun damaged skin. Now onto a biggie for me! 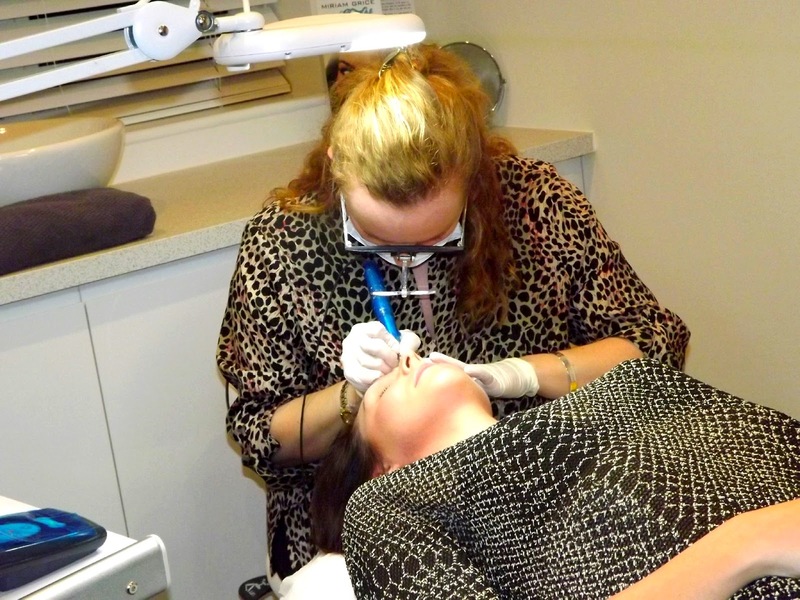 Semi permanent makeup! If there's one treatment I would love to have, it's semi permanent eyebrows. My eyebrow game can be pretty strong, but let me tell you, it takes a good fifteen minutes to get them all arched & perfect so having something like this would be a massive help. 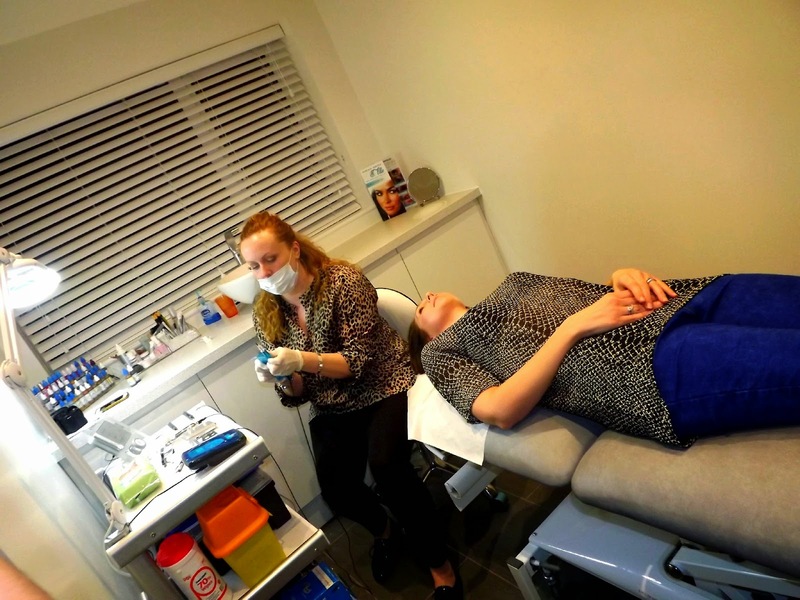 Semi permanent makeup differs slightly to a tattoo where they only use pigment instead of ink and when they apply the pigment it sits just under the first layer of skin as opposed to under deeper layers. The pigment lasts for around 5 years however a lot of ladies top theirs up after a couple of years. Prices are available upon request, however I was advised it would cost around £200 for the procedure, which for 5 years worth of eyebrows is pretty good!... If only my boyfriend agreed! 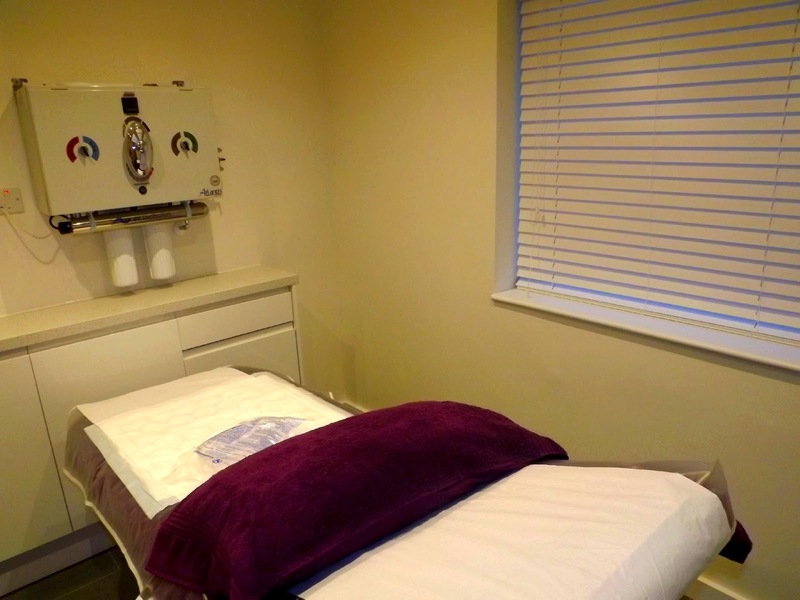 I then got to have a nosey around the rest of the salons treatment rooms where they do the more standard procedures such as tanning, waxing & massages. All rooms were very clean & tidy, and super inviting. When I arrived I was gifted with a little goodie bag full of Environ skincare products as well as a £10 off voucher for the salon. I'll definitely be making good use of the voucher, I just can't decide which treatment to have yet. Decisions decisions! Have you ever tried any of these treatments before? I'd love to have a snoop if you did! 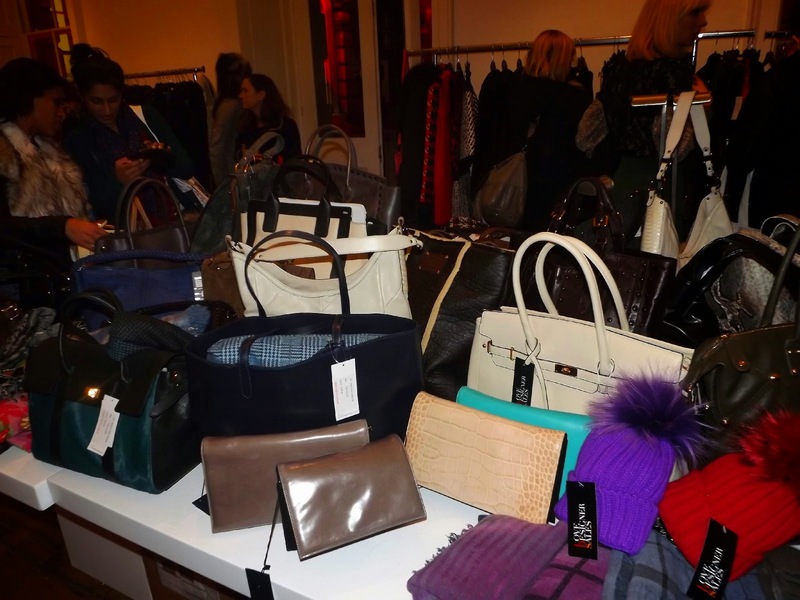 Not only did the 20 page booklet notify a schedule events from industry talks to trend & designer catwalk times but it also had a huge section of shopping opportunities and future trends. Luckily for me the future trends included 'make it monochrome' something I'm more than happy to showcase, but also 'that seventies show'. I'm growing more and more intrigued by this trend, I'm in desperate need of some flares that I could team with a pair of chunky heeled mary-janes. We ate these on the coach back from London & let me tell you, I really can't decide whether I like them or not, they've got such a strange taste to them. The strategy behind Urban Fruit is creating fruity snacks with no preservatives and no sugar, which is a lovely idea... But honestly I was fully craving that sugary goodness. The chunks of strawberries are baked in the oven & have that dried fruit/raisin type texture, which for me is why I think I wasn't all keen - The texture of these Urban Fruit snacks just wasn't for me. I'm a huge coffee fan/snob so I was chuffed to see these at the bottom of my goodie bag. We've been meaning to buy a cafetiere at home, and receiving this little pack of goodness has really given us the kick up the backside to get one. These Lavazza beans are of medium roast and stated as being intense & velvety, which I just love! I can't wait to try these out. Another one for my Essie collection... Fortunately I don't own anything as bright as this so it'l make a welcome addition to my collection. I love the name of this too! I always think Essie polishes have the best names! I'd love to be the person who decided on what to call their different colours, that'd be such a cool job! This bright orange colour will be prefect for Spring/Summer and I can't wait to get wearing it. This has come at just the right time for me! Somehow (don't ask me how) but I've lost my trusty Soap & Glory mascara so I'm in need of a new mascara. Although I haven't tried this one, I've tried various Maybelline mascaras before and have never been dissappointed so I'm looking forward to giving this one a go. I'm really intrigued by the curved 'feline' brush, I've got pretty high hopes about this one! Because they'll come in useful one day! I'm going to keep these in my handbag for those emergency days! Have you used any of these products before? 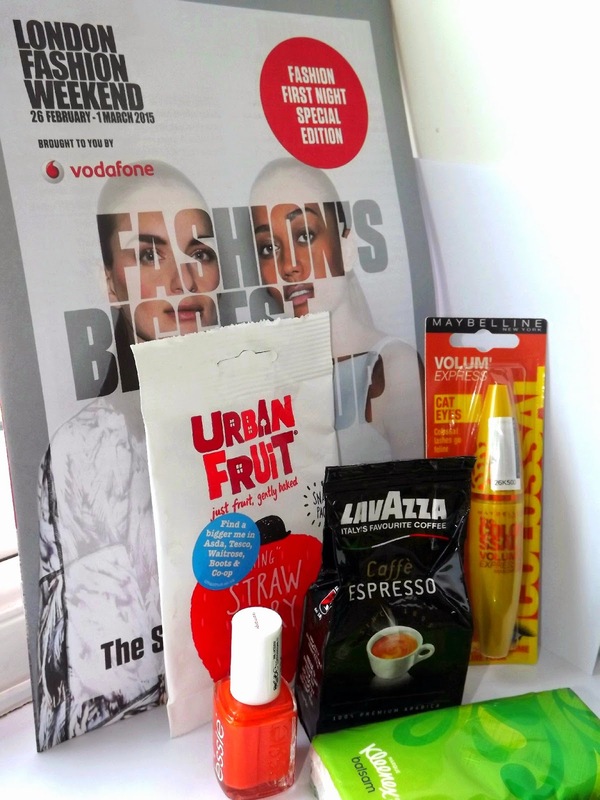 Or did you also go to London Fashion Weekend & received these items - What did you think? A week and a half ago I had a lovely little email ping into my inbox notifying me I'd won a blogger giveaway! Me!.. A winner! I tend to enter blogger giveaways on a bit of a whim, never really expecting to win anything, but it actually happened when I entered Joie De Jodie's giveaway last month. However I've reached one of my own milestones this month in reaching 300 followers on xclaireabella which I'm super duper pleased about. I blog as a hobby on the side of working and knowing I have a regular supply of readers is a really heartwarming & lovely thought.... Keep reading for my own little giveaway. Firstly though I'll be discussing my first thoughts on the lovely goodies I was given by Joie De Jodie. This is what I was most excited about as I've actually been on the look out for a simple black leather look purse. I thought it was a pretty easy request, however finding one I like has proven dificult - Untill I saw this one! It's exactly what I was looking for & I can't wait to start using it. This will be the second red Kate Moss lipstick I own. This is much more letterbox red than the previous one I own so it'll be nice to have something bolder & more colourful to wear. 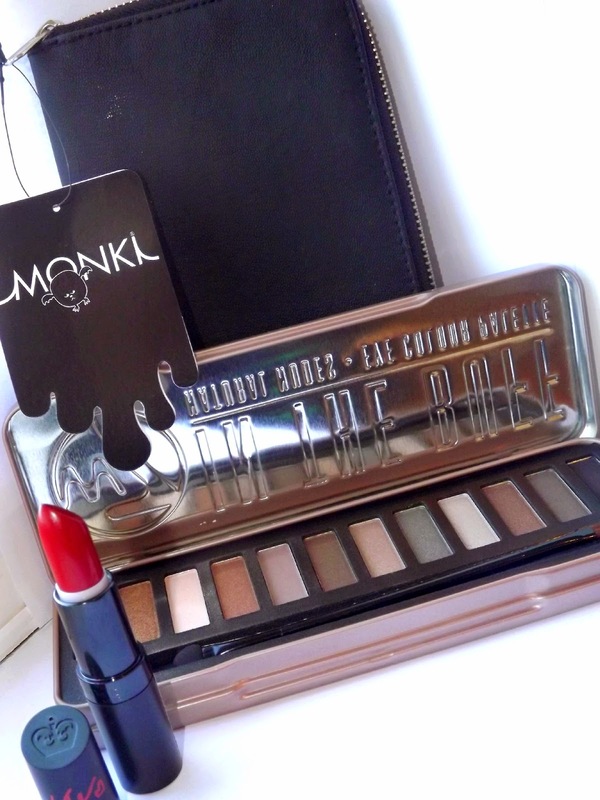 I absolutely love a red lip so this will make a pefect addition to my dressing table. I actually very nearly bought myself this palette before Christmas so knowing this little beauty was on it's way to me, made me a very happy bunny indeed. It's pretty well known that 'in the buff' is a dupe for the Naked palettes so it'll be really cool comparing the two! Now back onto my giveaway... Since moving to Leeds I'm now a lot closer to one of my favourite brands.. MAC! In fact I walk past the MAC store everyday on my way to work, so it's safe to say I'm popping in there quite often. Ooops! Anywho... 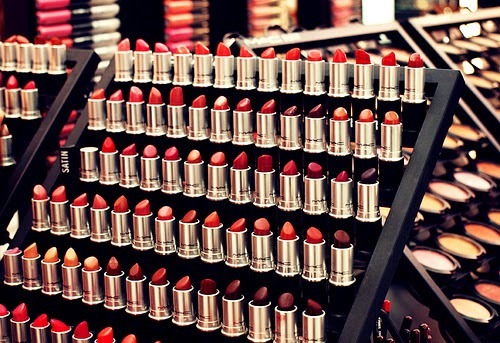 I thought what better way to celebrate reaching 300 followers than offering you lovely readers a MAC lipstick of your choice. I have the usual refflecopter format below including various ways you can enter my giveaway. The giveaway will be available for two weeks only & will finish on the 18th March with the winner being contacted on the 19th to confirm their chosen lipstick colour. Best of luck! 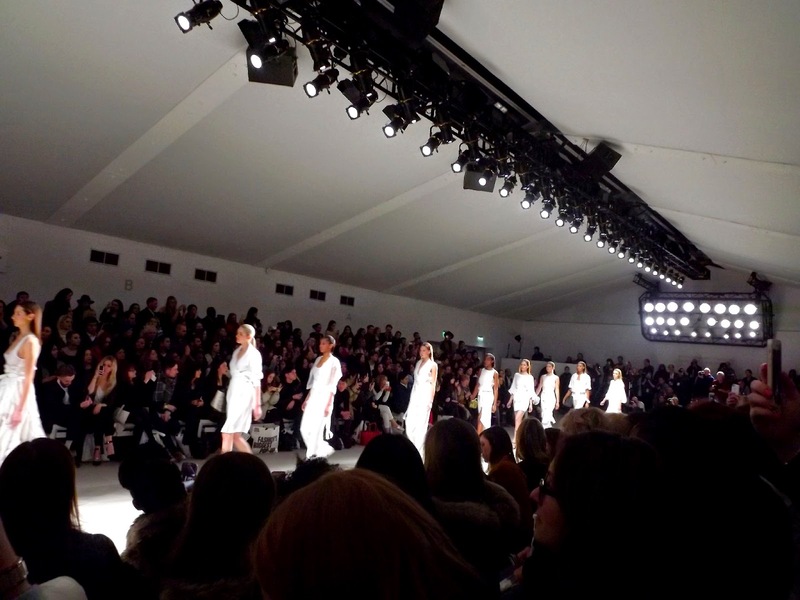 Since starting blogging last year my passion for all things fashion & beauty had really come alive and for the majority of last year I've known that one of my main aims for 2015 was to travel down to London & attend London Fashion Weekend. 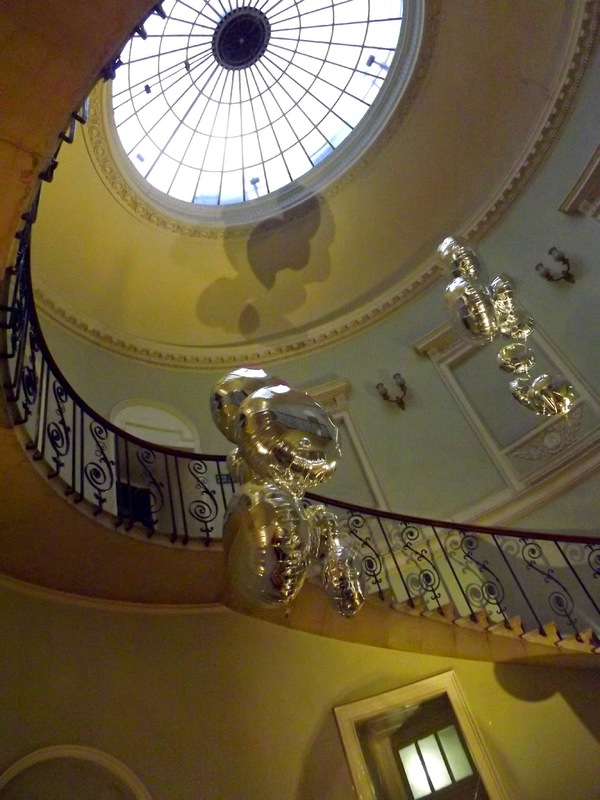 A few weeks ago I purchased myself a pair of Silver tickets, which entitled me entry into LFWend at Somerset House, industry talks, a luxury tote goodie bag and seats at a designer catwalk show. I decided to wear something simple for my first LFWend experience by teaming a basic Primark black tee with my new favourite & super girlie pastel pink high waisted skirt from H&M. I love the look of these two together as I really think the skirt tramsforms an otherwise quite boring top. The black duster thrown over the top is from Boohoo & the wedges and belt are very very very old River Island. In fact I re-found them whilst visiting my mums last week & thought they were just too pretty to throw away! The black bag is also another new/old discovery. I received it as a present years ago, but it's been perfect for LFWend, there's so many different compartments to it, it's amazing! A complete wardrobe staple! 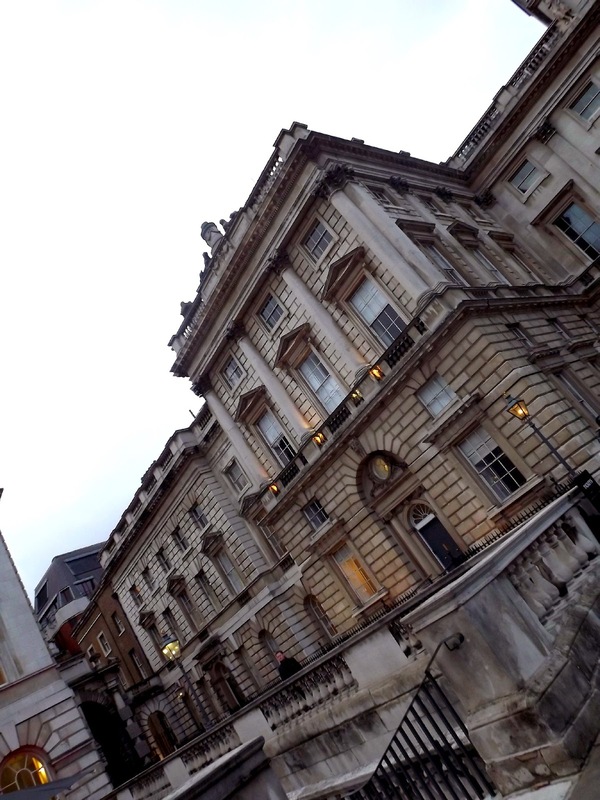 We tottled down to the venue for Day 1 of LFWend, which was set in the very picturesque neo-classical Somerset House. We've been to London quite a few times over the years, but strangely enough have never noticed the building before, I really don't know how, because it's a massive building -We're such bad tourists! 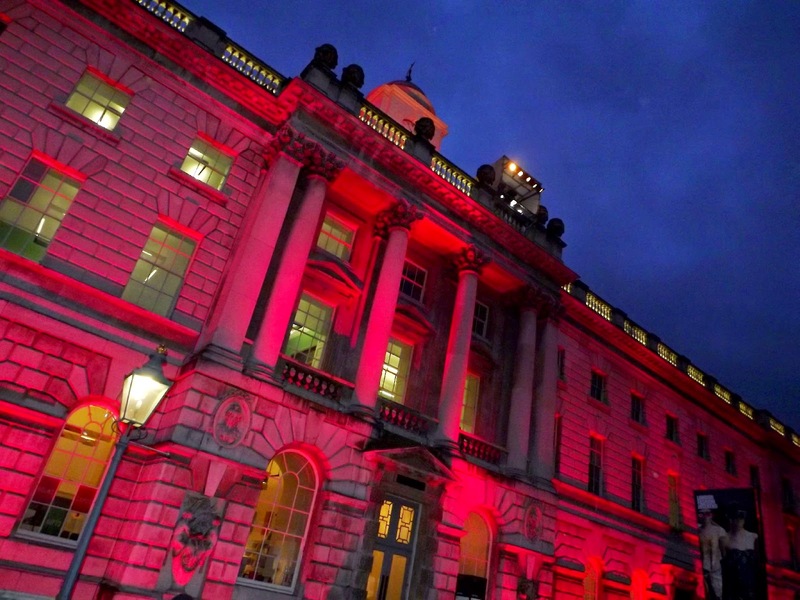 As this years event was sponsered by Vodaphone, Somerset House was lit up with beautiful red lights with the companys' logo parading the exterior walls. This was present throughout the day, but it was only as it got darker that you could really get a feel for how impressive it all looked. 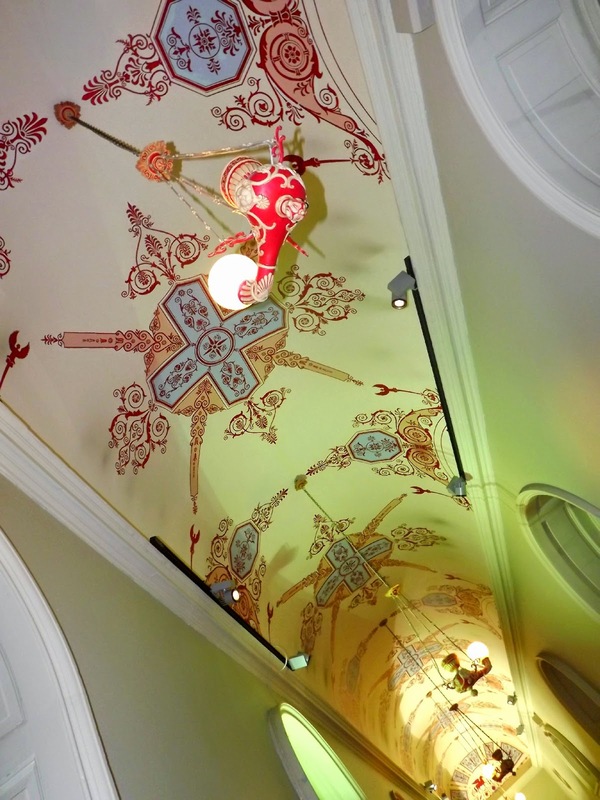 As a lover of all things architecture/interior design related, it was seriously stunning. 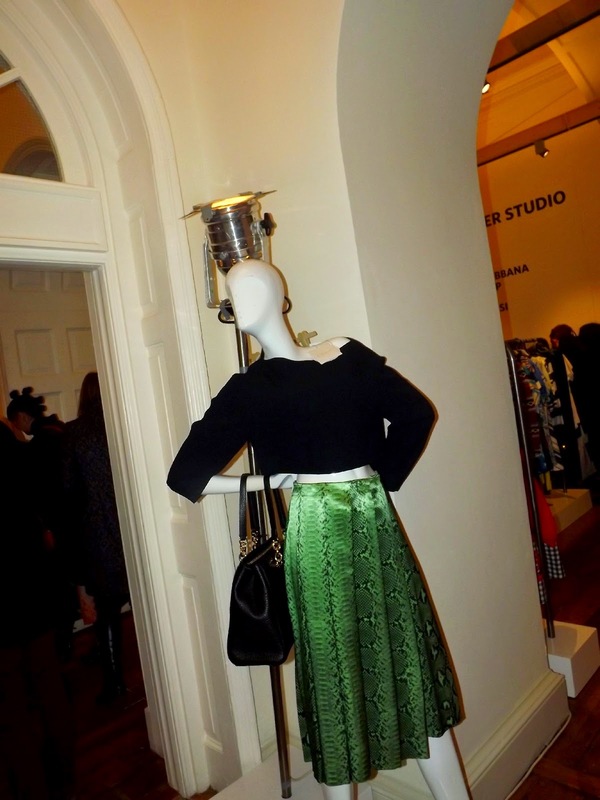 The first part of the afternoon consisted of browsing rails upon rails of designer clothing with a glass of Prosecco to hand... It's such a hard life! This took up a good couple of hours as there were countless amounts of brands at the venue, the vast majority of them I hadn't heard of but I really enjoyed them & had a brilliant time discovering new designers. I've been lusting after a Philip Lim bag now for a little while so getting to have a nosey at them was probably my favourite bit of the shopping experience. Unfortunately I didn't end up buying one because they're just so darn expensive, but a girl can dream right? We were then invited to an industry talk introduced by fashion journalist Antonia O'Brien & hosted by Toni & Guy's Label M ambassador Philipp Haugg. 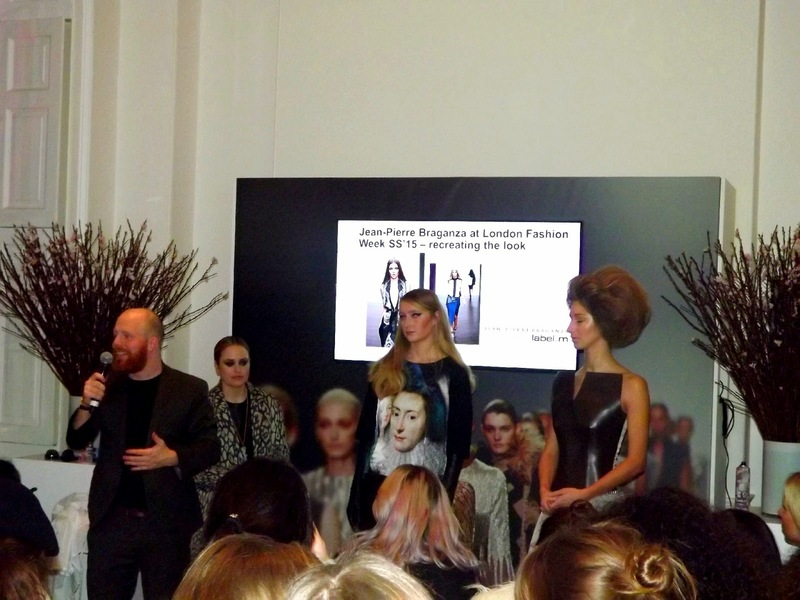 The talk explained the Label M range & incorporated two key hair trends from Toni & Guys' last 10 years at London Fashion Week. 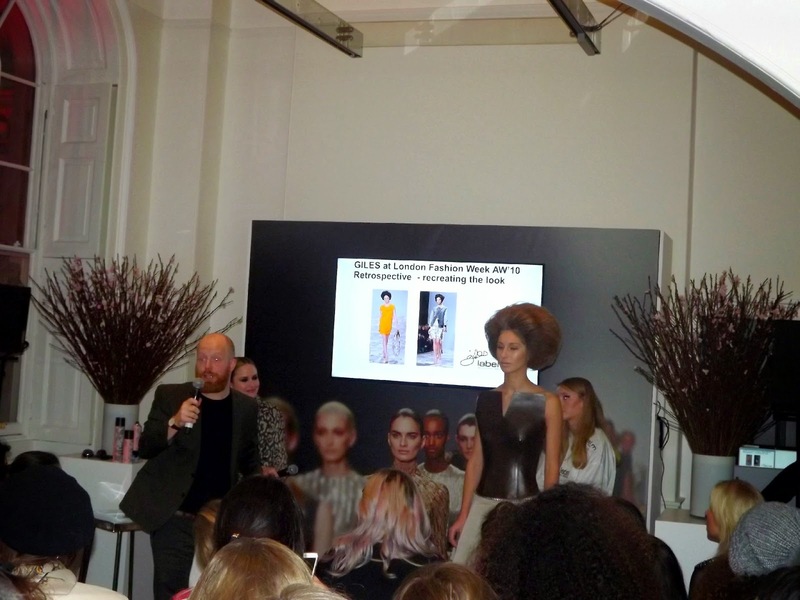 The first more 'out there' hair trend featured on the Giles AW10 catwalk, Philipp explained exactly how this look was created using the Label M hairspray and a shed load of back combing.... Would you believe there's a ponytail under that beehive keeping everything afloat! The second was a much more wearable look, from the Jean-Pierre Braganza SS15 catwalk. Loose waves were created for an almost undone finish, the type that let the clothes do the talking! Both looks were incredible, the first being more showstopper and the second for much more everyday wear. Philipp then finished the talk explaining his love for hair creativity & how he's worked his way up through the Toni & Guy ranks. It was a really inspirational & enthusiastic talk from a gentleman who clearly enjoys his job. Then comes the show! 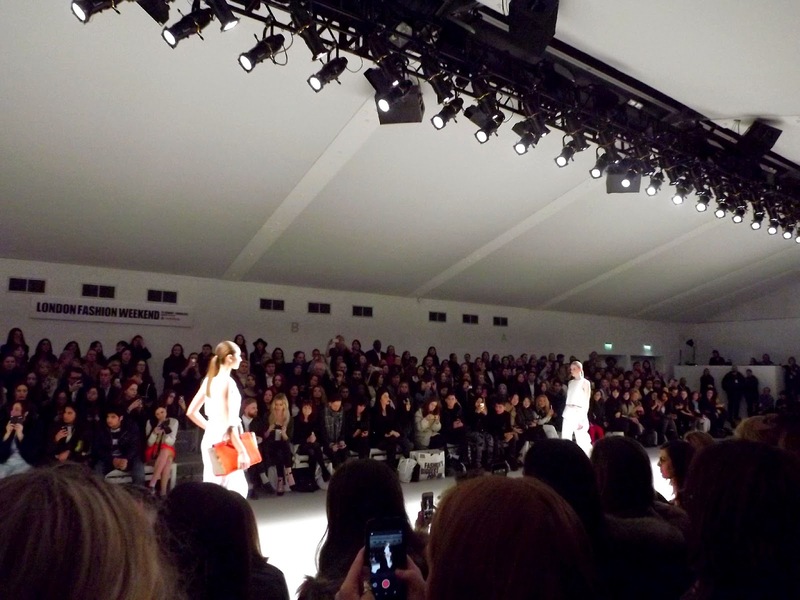 We had seats at the Amanda Wakeley show. The collection was very all-white-everything based, minus the addition of black barely there heels & an injection of colour in the handbags. It was a beautiful collection of floaty femenine silhouettes. 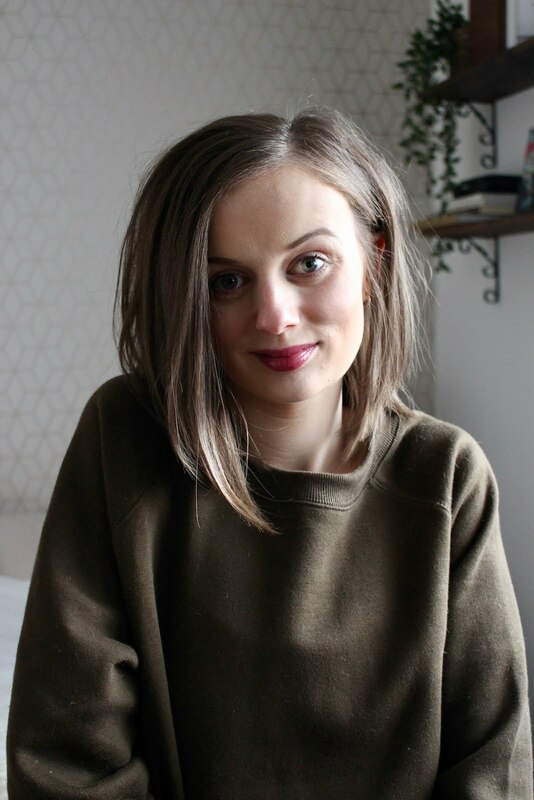 I could see the clothing working equally as well on the high street which is lovely because it gives me some really good ideas for Spring/Summer this year. 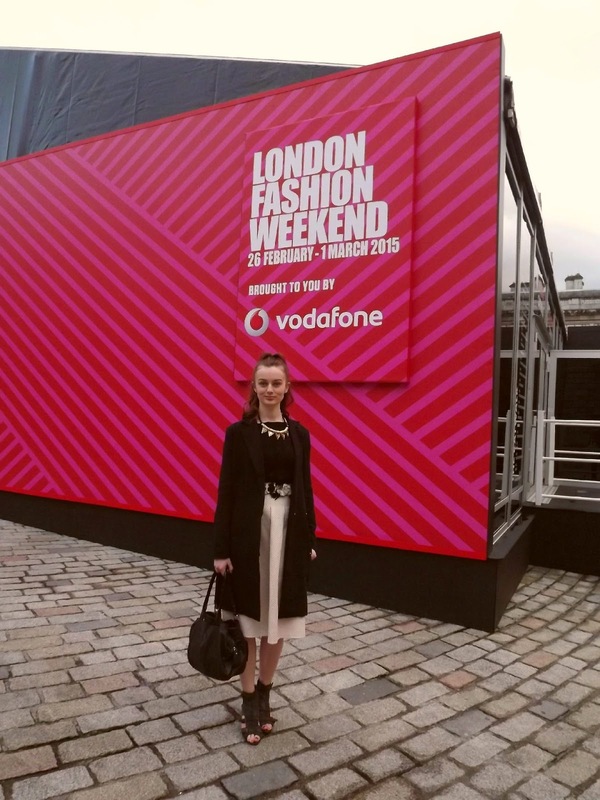 I've not experienced London Fashion Weekend before, but I had a brilliant time! 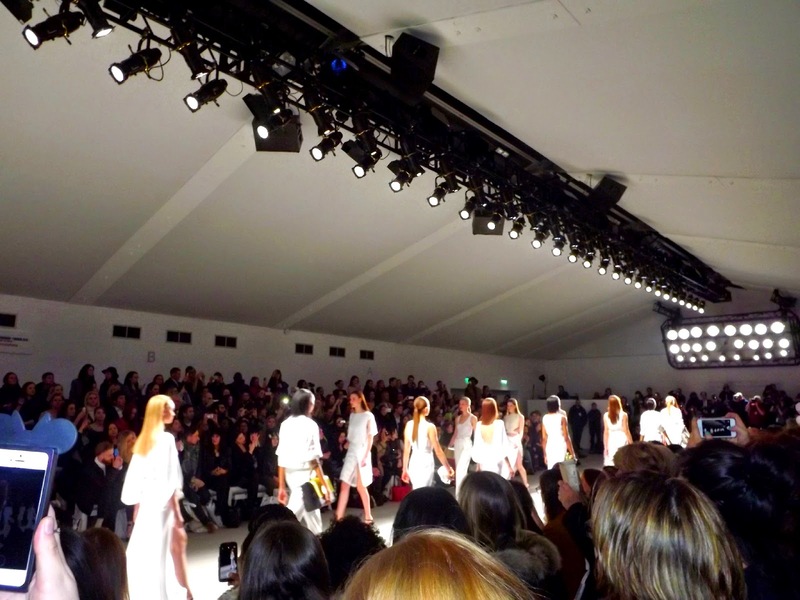 I'd definitely try and go again & maybe even head for London Fashion Week next time! 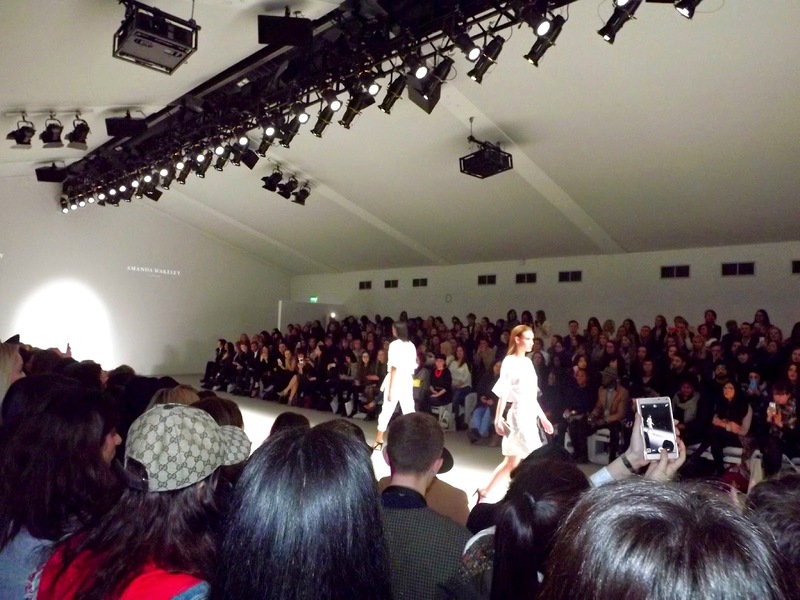 Have you been to both London Fashion Week & Fashion Weekend? I'd love to hear your comparison thoughts? Last week I had a bit of time off work so decided to make the most of it by popping down to London (as you do) but also travelling back up North to my hometown of Middlesbrough! I spent a few days visiting family & catching up with old friends dabbling in a few 'sweet treats' in between. 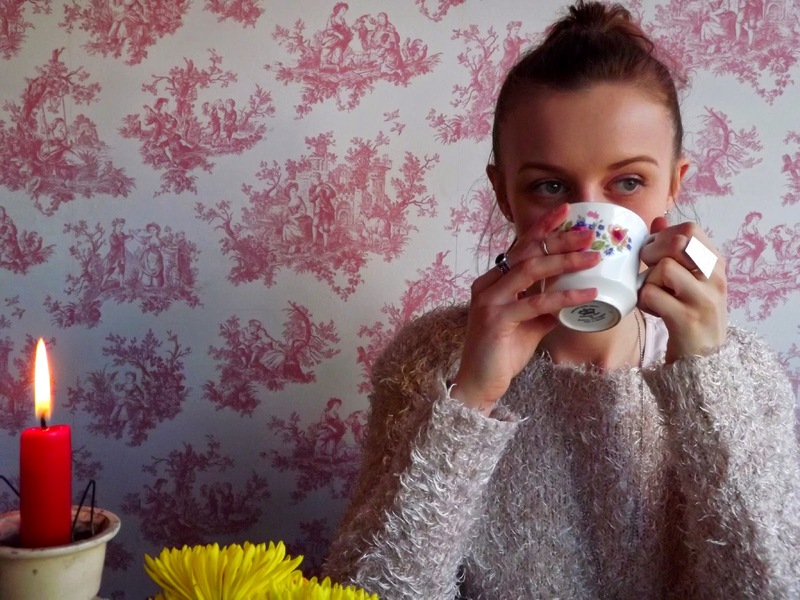 I've not visited The Olde Young Tea House before, but have always heard such rave reviews so I was fully expecting it to be the Ritz of the tea world... And after visiting with my sister Becca, I've decided that it completely is! We were greeted by a really lovely chatty lady who apologetically told us they had no tables available right that very second but she would get one cleared down right away. I unfortunately didn't catch her name but our table was cleared immediately and we were seated within a number of seconds. We even got our choice of tables... Of course we picked one right by the window so we could people watch. 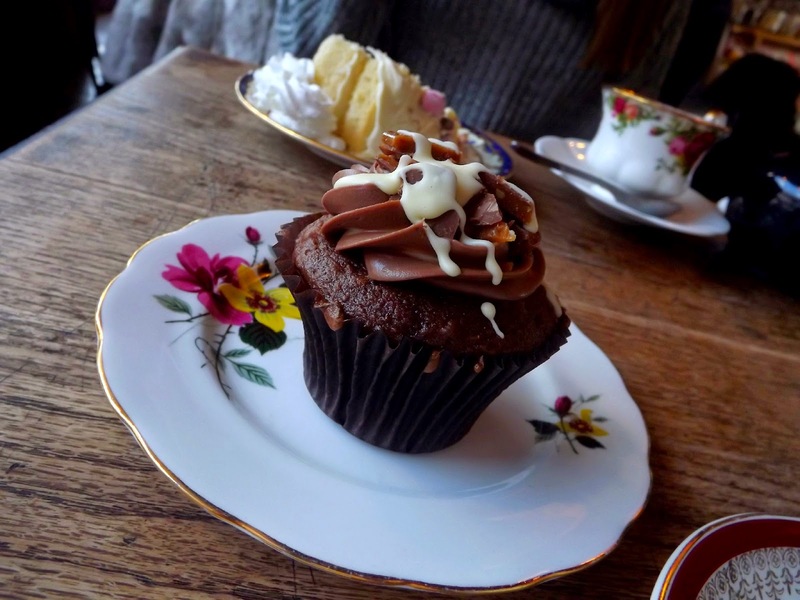 The Olde Young Tea House is a chintzy little (even though it has grown considerably since opening) establishment which has the largest selection of teas and cakes I think I've ever seen! In all honesty it was a little daunting selecting which tea to have, they had so much choice you honestly need a good fifteen minutes to make sure you've scanned the range and are picking the one that's right for you. I was well and truly under tea pressure! Eventually I opted for handmade peppermint tea which isn't too adventurous I know, but for an English Breakfast lover like myself I thought it was pretty good going. The tea came out in cute ceramic tea pots with fancy fluted cups and saucers, all of which added to the shabby chic theme they're going for in the tea room. If I'm being picky they could have been a bit cleaner, there were sight chips on the crockery and you could tell they we're quite old pieces but other than that the teas' were delicious. I've not actually sampled peppermint tea before, it had a very minty scent but on drinking it was delicious, you could still taste that familiar tea taste underneath, so I was really pleasantly surprised. Now onto the cakes! The most delicious, inventive cakes! 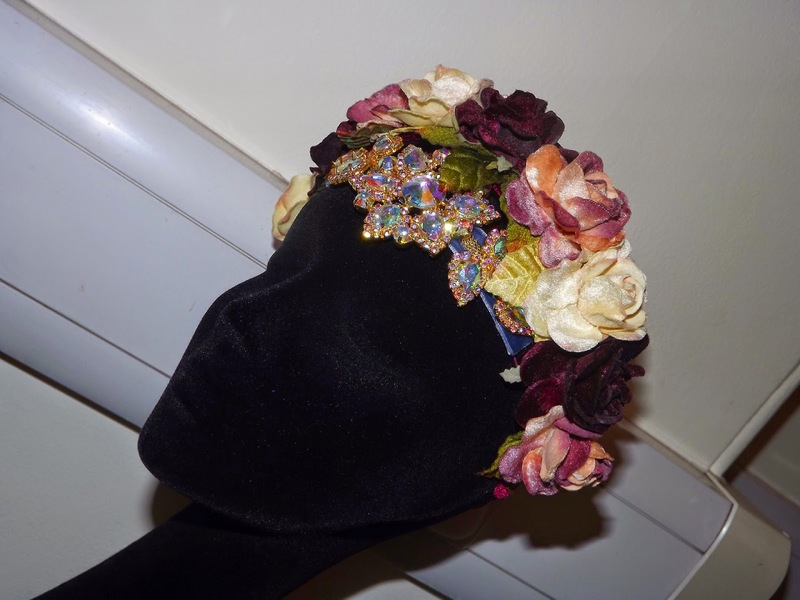 All of which are handmade on site might I add! I chose the chocolate dime bar cupcake which was really light & fluffy. The chocolate ganache on top was insanely good, it was the best bit for me. So smooth & creamy, it was absolutely delicious... And gone in about 5 seconds flat! The interior of the tea room is very shabby chic! 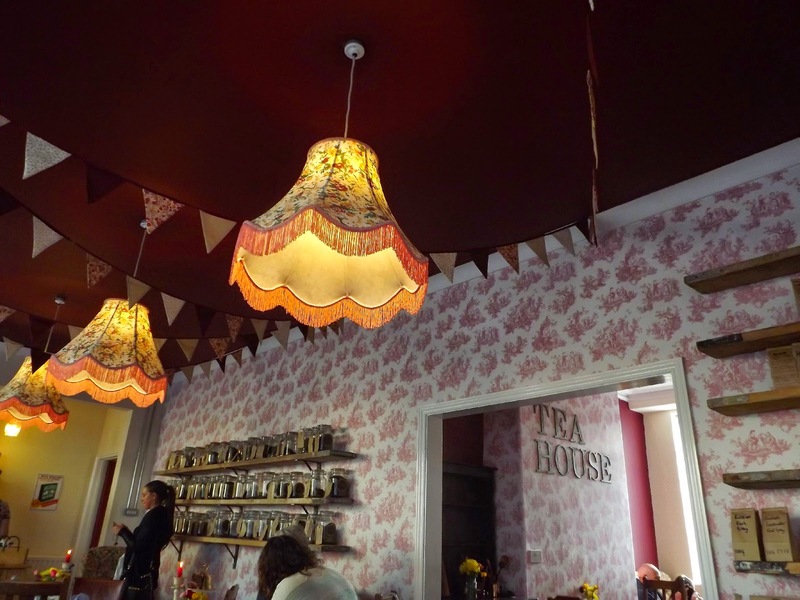 As an Interior Design graduate i think this style has been done to death, but with the handmade homely feel they have going on at The Olde Young Tea House, I actually think it works pretty well. 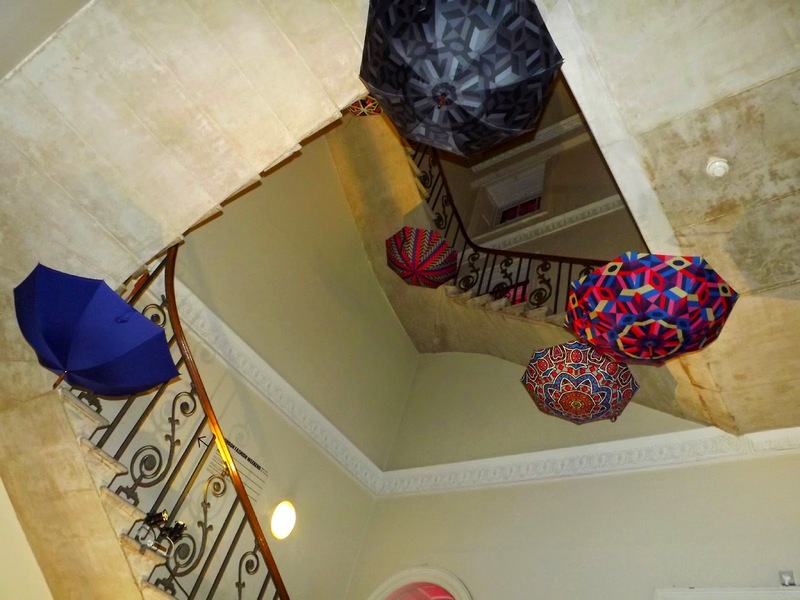 I particularly liked the patchwork bunting that hung from the ceiling... I wouldn't be surprised if they'd made it themselves. Another iddy biddy thing that niggled me (trying to be nice here) was the table to floor space ratio, the room was very cramped, we had to really squeeze past seated customers to reach our table which was slightly annoying for us and probably the other guests we were brushing past. Obviously once we were seated everything was perfect, it was just reaching the table which was a bit of an obstacle course. I would 100% visit The Olde Young Tea House again. 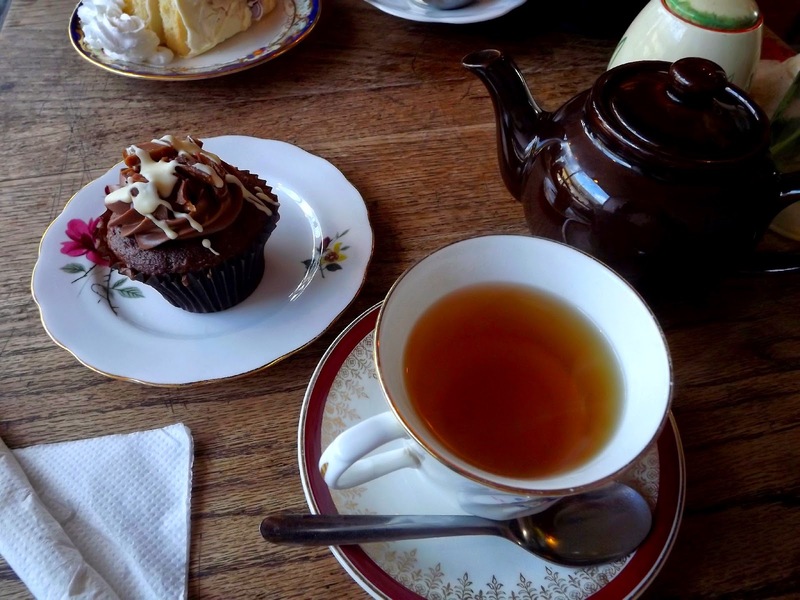 There were a few things I wasn't keen on, but the deliciousness of the tea and choice of cakes would keep me coming back every time! The staff there are a credit too, they gave the warmest welcome possbile & I'd go out on a whim and say it's the best tea room in Teesside. Also on another note, I realise now I probably shouldn't have work pink - I'm starting to blend into the wallpaper! Ooops. I'm obviously enjoying my peppermint tea and people watching though. 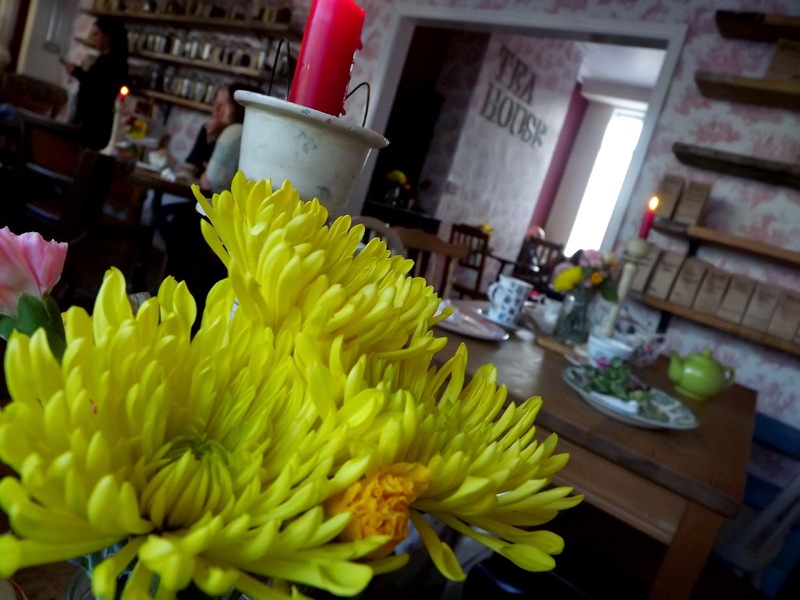 Have you visited The Olde Young Tea House before? If you have I'd love to hear your thoughts. Also if you know of anywhere similar to this in Leeds then please shout up.